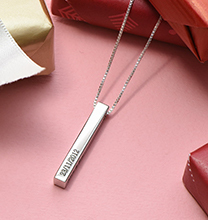 At My Name Necklace UK, we look forward to Mother’s Day each year. The fun of treating mim to something special makes every Mother’s Day date a memorable one, year after year. Whether you’re shopping for mum, grandma, your mother-in-law, or all the wonderful ladies in your life, you’ll want to try these Mother’s Day gift ideas out for size: Pick just one, or mix and match to give mum an unforgettable treat. What’s hotter than ever? Charm bracelets for Mum! In styles ranging from cute baby feet for new mums to sophisticated bangle bracelets complete with family tree charms and Swarovski crystals, this category offers a little something for everyone. Pick one charm bracelet with room for future additions, or select a bangle or two. Mum will be so pleased! Thinking about flowers for Mother’s Day? You’re not alone! According to ProFlowers, an incredible one-quarter of all holiday plant and flower purchases are made in honor of Mother’s Day. Whether you go with tradition or opt for a larger bouquet with some of mim’s favourite blooms, she’ll think of you each time she sees them. You may wonder why so many people choose flowers for Mum. The answer lies in tradition: Historically, mums were given a single carnation. Today, this simple yet fragrant flower is often used to accentuate other Mother’s Day presents. For the mum who loves wine, a basket packed with a bottle or two of her favourite tipple tops the list of Mother’s Day gift ideas. 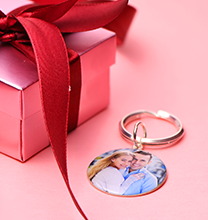 Add other treats like chocolate or savory snacks, or non-perishable ingredients for a special meal she can whip up in a hurry on a busy day to make this thoughtful gift complete. Cheers! Traditional mother rings have been popular for decades. 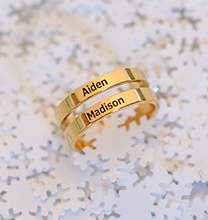 These birthstone rings usually contain gemstones or Swarovski crystals representing each of the wearer’s children or grandchildren, and some even contain names or initials. For a contemporary take on this lovely choice, consider stackable rings. With one birthstone apiece, plus inscriptions to add even more meaning, these mother rings can be worn singly or as a group. Imagine how excited mum will be! Mother’s Day edible arrangements consisting of healthy fruit, decadent chocolate, and other goodies are sure to make mum’s day. Like flowers, gourmet gifts are nice on their own, and great for pairing with other Mother’s Day presents. Help mum keep thoughts of you close to her heart, always. Choose a Mother-Daughter necklace in silver, gold, or rose gold to suit mum’s skin tone and complement her wardrobe. 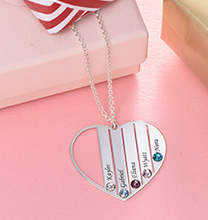 Pick from contemporary or traditional styles, with gemstones, birthstones, diamonds, or simple inscriptions that tell her she means the world to you. Whichever style you choose, it’s certain to outshine the rest of her Mother’s Day presents. Whether mum loves coffee or tea, she’s sure to appreciate a stylish travel mug. While insulated mugs aren’t traditional Mother’s Day presents, they are useful – and they can serve as a fun outer container for a smaller gift such as a gift card from her favourite coffee shop or a few luxurious chocolates. Pick one in her favourite colour, and fill it to the brim with little goodies for extra brownie points. The newest addition to the traditional Mum jewellery lineup is an exciting one! 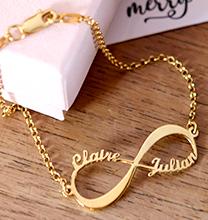 If you want to surprise her with something extra special, consider an infinity necklace, either with or without extras such as inscriptions or accent diamonds. Infinity necklaces convey the sentiment that your love is forever, and they offer the added benefit of looking fantastic with a variety of wardrobe choices. See styles in sterling silver, gold, and rose gold: There are so many to choose from, making it easy to pick the perfect infinity necklace for Mum. Mum deserves the best – especially on this special day. Treat her to a gift certificate or join her for a day of pampering complete with a manicure, a pedicure, and a relaxing massage. While spas may be closed, making it impossible to do this on the actual Mother’s Day date, you can create a gift package containing a few little treasures and a sweet note telling her that you’ll be spending some quality time relaxing together. Whether you make it yourself or book reservations at her favourite restaurant, Mum is sure to appreciate a spectacular Mother’s Day brunch with the ones she loves. Start with sparkling mimosas and work your way into sweet and savory courses that cater to mum’s taste buds. Add a special gift or two and mum really will feel like she’s been crowned Queen for the day! The bottom line? 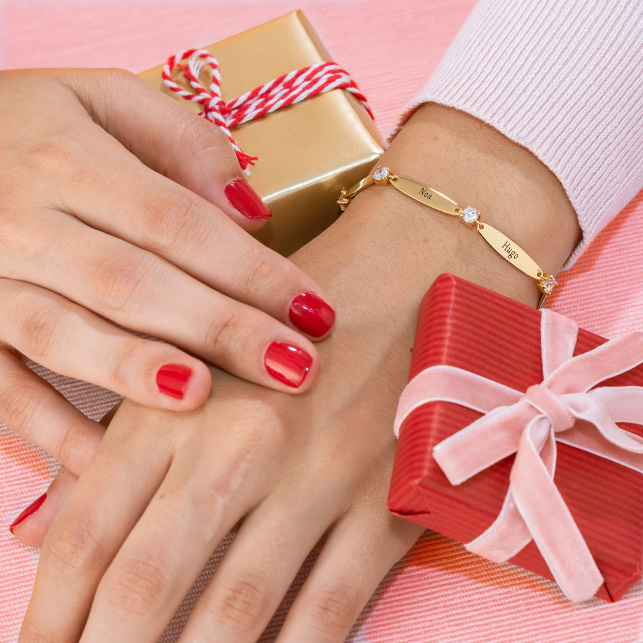 Whether you go for traditional Mother’s Day gifts or opt for something a bit more surprising, Mum will appreciate the thought and effort that went into selecting the perfect present.